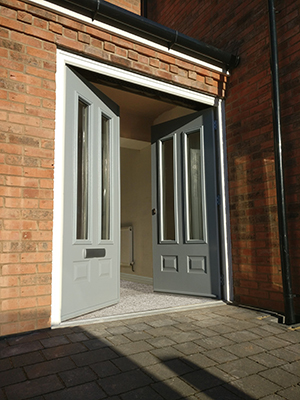 Coventry-based Aztec Windows has completed its first installation of a Winkhaus AV3 and FAB locking system in a Solidor French Door, making a ‘grand entrance’ for their satisfied customer. 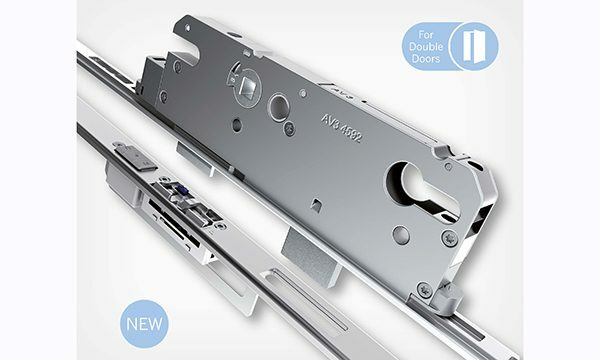 Winkhaus is meeting the rising trend for double door combinations with its well-designed Grand Entrance Collection, which provides an attractive, high-security multi-point locking system that appeals to homeowners. 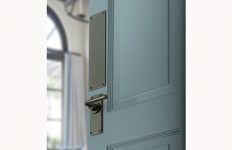 The collection eliminates the need for a security kitemark cylinder, cylinder guard, handle or dummy mullion. Operated by a flush, integrated two-way lever, the FAB slave lock throws two heavy-duty 20mm shootbolts into the head and cill. 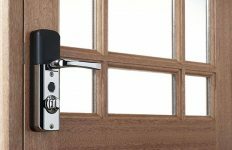 Combined with the Winkhaus autoLock AV3 high security multi-point lock on the master door, the locking hooks penetrate the FAB slave lock to secure the two door leafs together. No additional hooks are required. Michael Hagan, Aztec Windows Director said: “Our customer wanted a new grand entrance door, but with no handles on the external face of the door. After a brief discussion and a site visit, it was decided that Solidor French Doors with the Winkhaus AV3 locking system would be the best option. 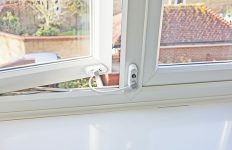 “The practical daytime latch was also fitted so the customer could deactivate the door’s auto lock feature as needed for instant access, so they couldn’t get locked out. The operation of the door is effortless, even with just the key from outside, and our customer is delighted,” he added. Mike Rushen, Winkhaus Sales Director commented: “Our Grand Entrance Collection continues to attract plenty of market attention for its inventiveness and versatility.